This week I am going to take you step by step through my midweek manicure and pedicure. This is a cheap treat you can do at home and it is very relaxing. Having your nails done really makes you feel great too! 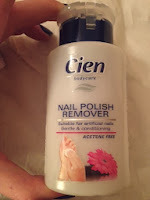 Remove old nail polish using a nail polish remover and some cotton pads or cotton wool balls. I use the Cien nail polish remover from Lidl. It is handy to use as it has a built in dispenser which avoids mess and leaks. 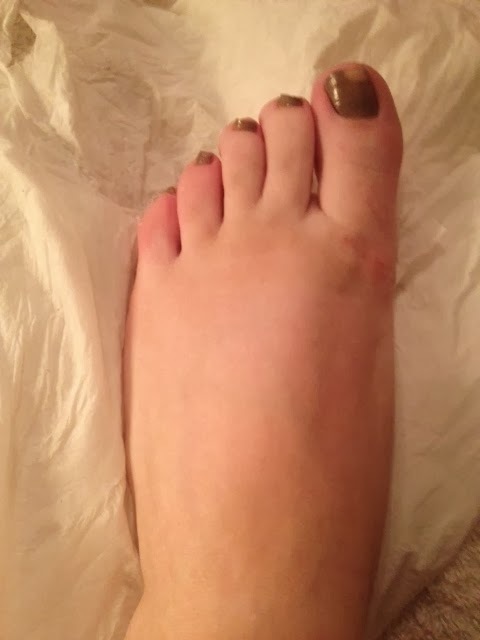 See photo on left before nail polish was removed. 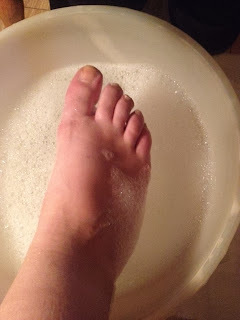 I usually soak my feet in a tea tree or peppermint based wash. Use a basin filled with tepid/warm water and add the foot soak or foot wash and mix until bubbly. It is usually enough to soak your feet for about 15 minutes or so. At this point you are now preparing your feet for your pedicure. You need to use a fluffy towel and ensure you have dried your feet thoroughly. You then can cut your nails and ensure that they are straight across. If you cut your nails with a curve it can encourage in grown toenails. File your toenails straight across and remember to file in one direction only. Step 4. Look after your cuticles! Orange sticks are brilliant for pushing back your cuticles before a manicure or pedicure. You should also check that there are no quicks coming up at the side of the fingernails and give them an all round tidy up. At this point you can massage some cuticle oil in for good measure. Applying a base coat is so valuable. It helps to protect your nails from staining. It also makes your nail polish last longer, and look more vibrant. 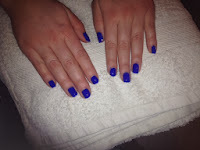 I always apply one coat of base coat and let it dry fully before continuing. An easy way to apply nail polish is by using three strokes. Paint the first stroke down the centre of the nail. The next two strokes go on the left and the right hand side. This makes for a quick and even finish. 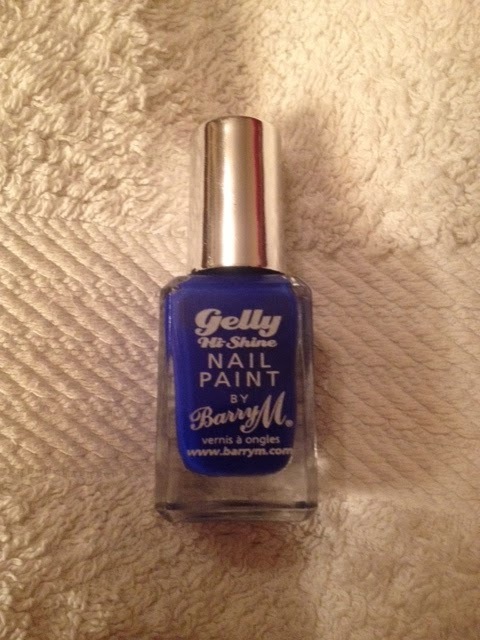 I have chosen a striking blue from Barry M. The Gelly Hi Shine polish gives a fabulous glossy look finish. This costs €5.99 in Boots and the shade is called Blue Grape. I am not great at sticking to this step especially if I am in a hurry to get out the door. 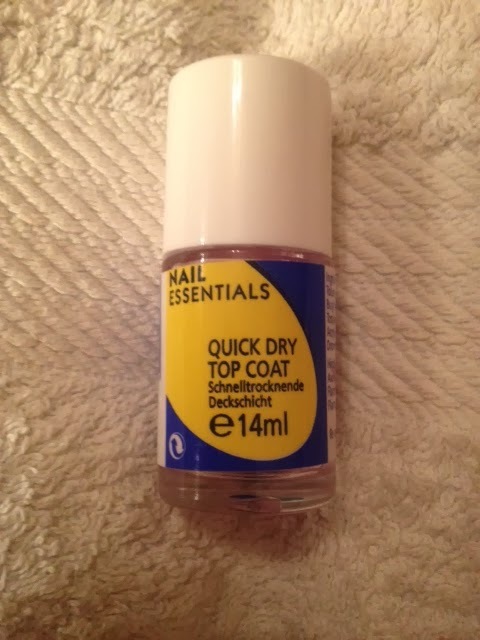 Using a top coat will help your nail varnish last for longer and give a nicer looking finish. The top coat I have chosen to use is the Nail Essentials Quick Dry Top Coat. This is giving my mani-pedi great longevity! You can twist an orange stick into some cotton wool and dip this in nail polish remover. You can then use this handy utensil to tidy up the edges of your nails if you have made any mess. Voila!